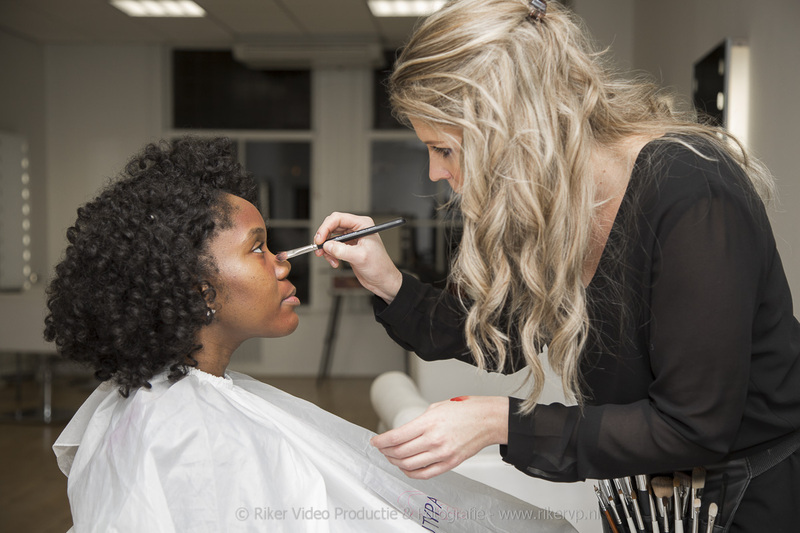 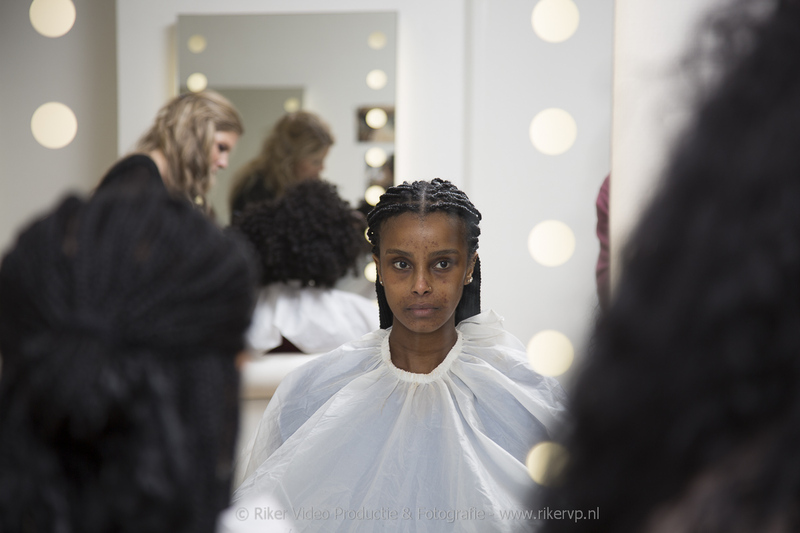 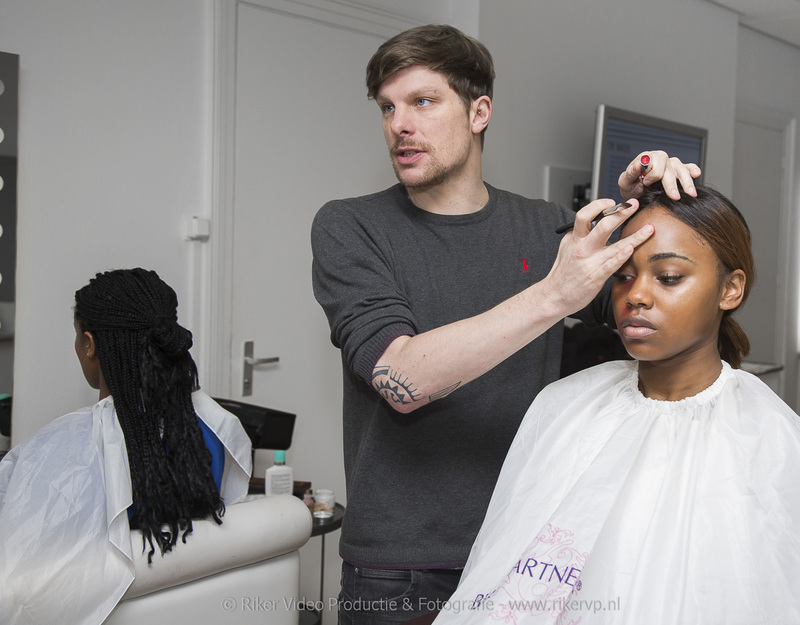 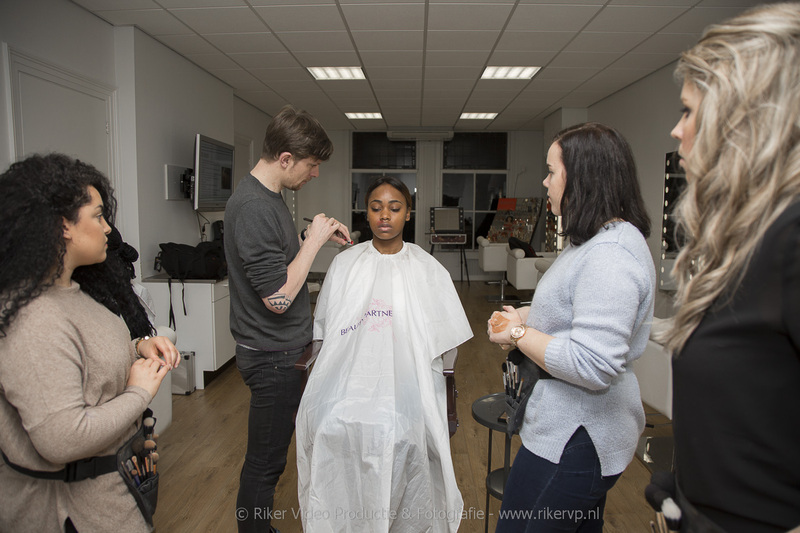 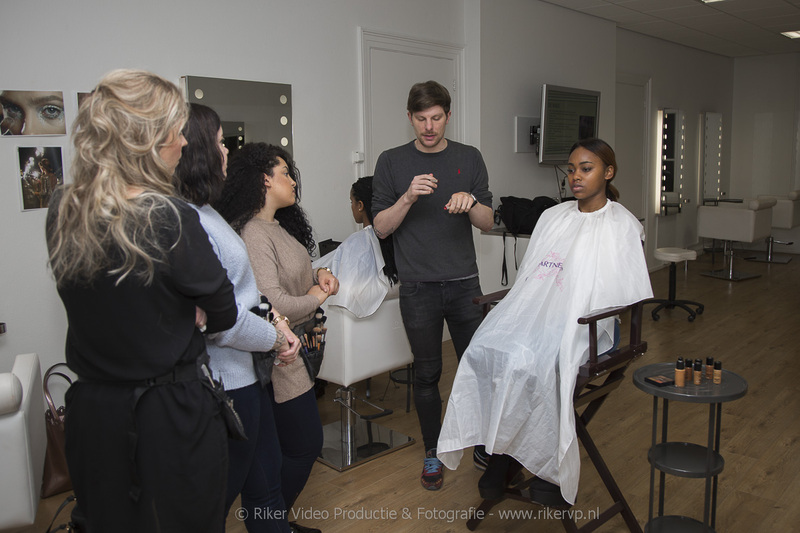 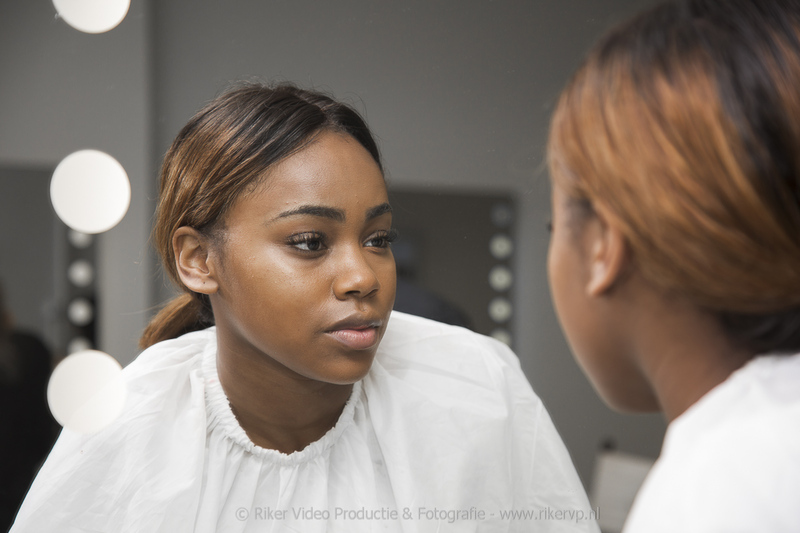 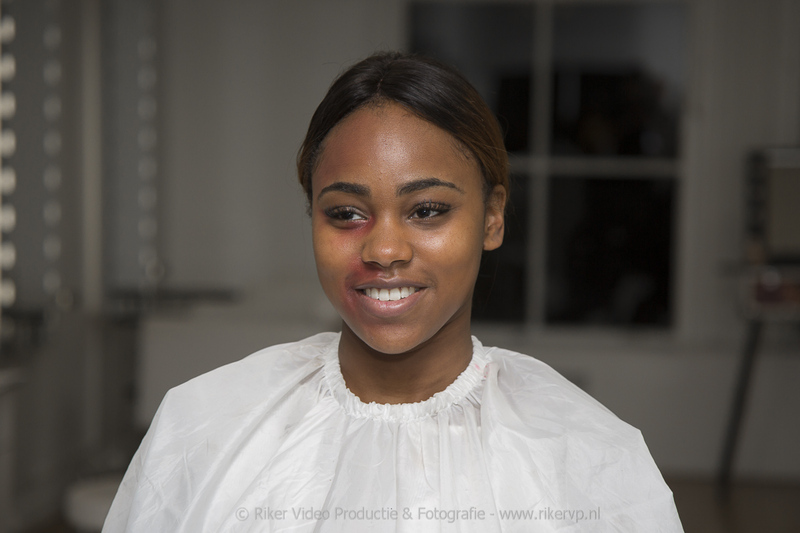 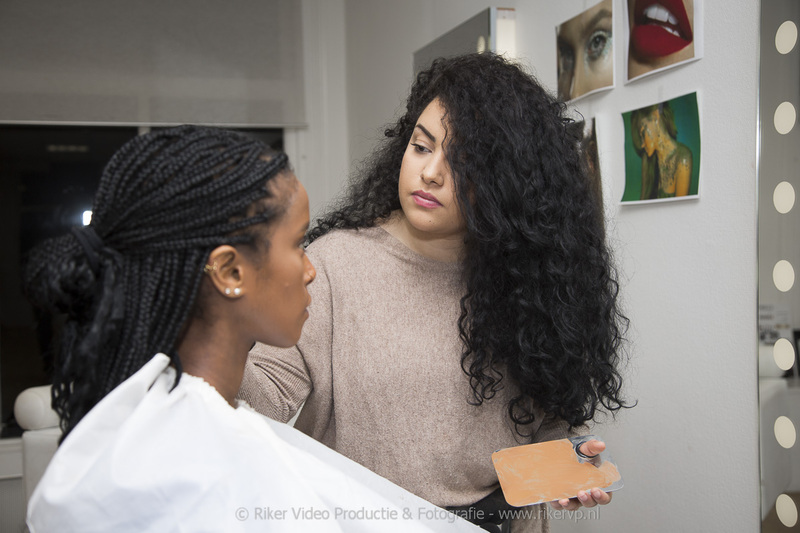 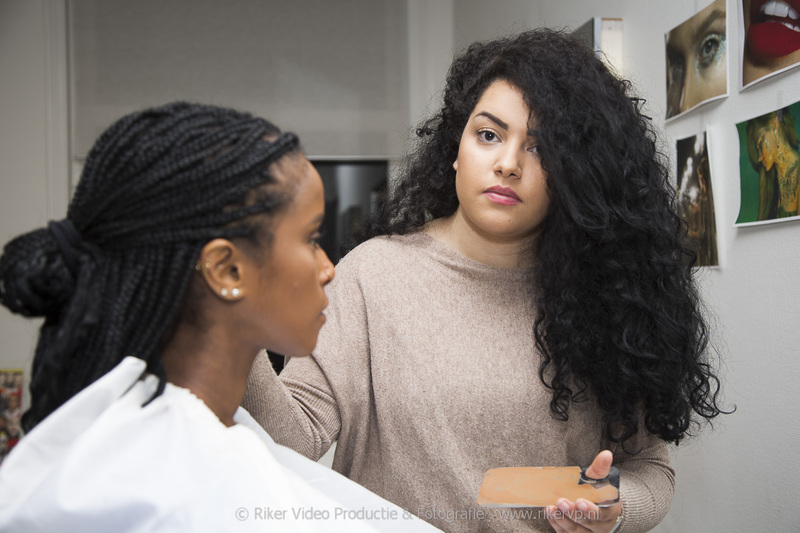 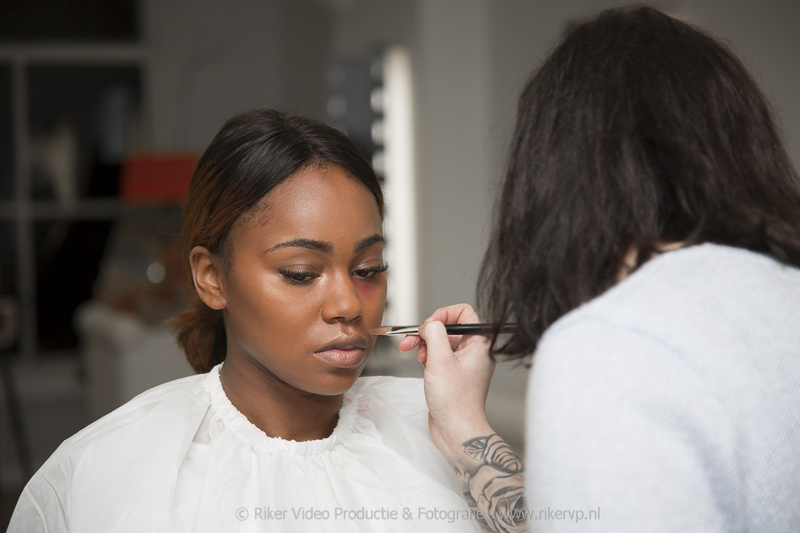 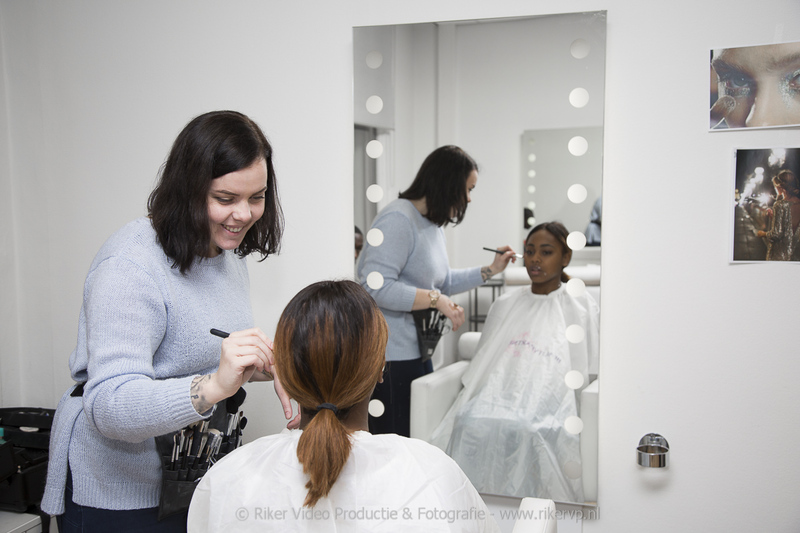 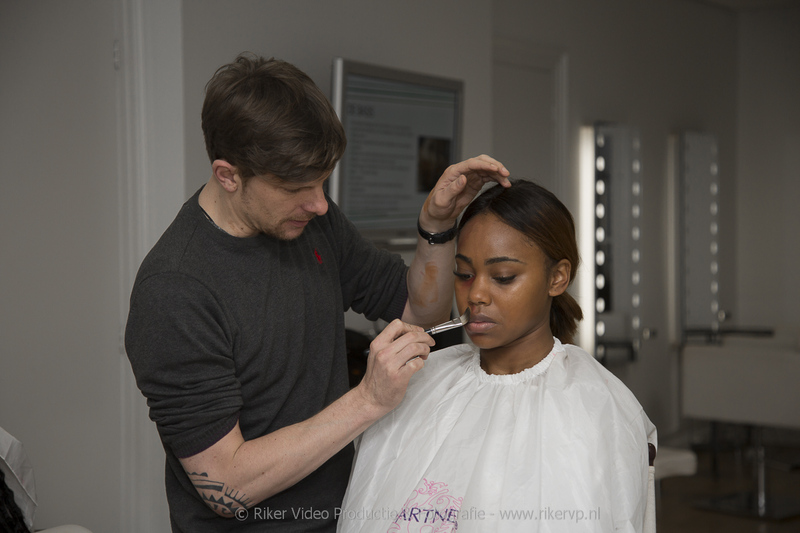 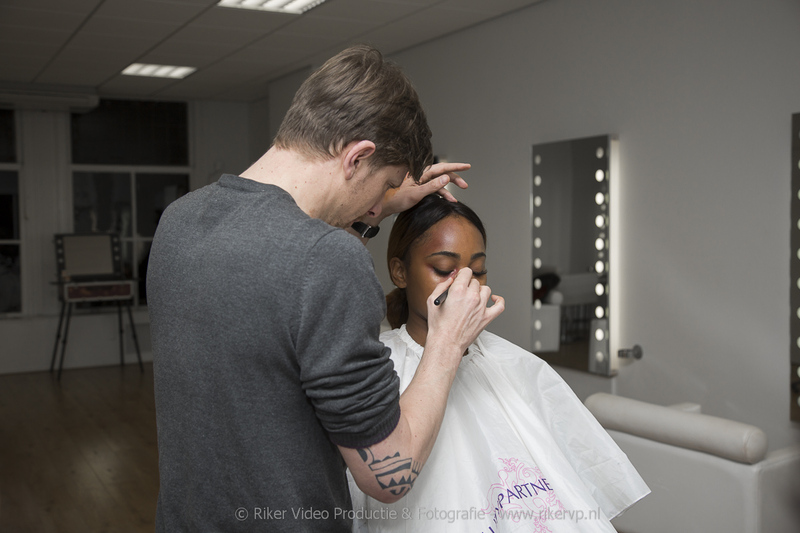 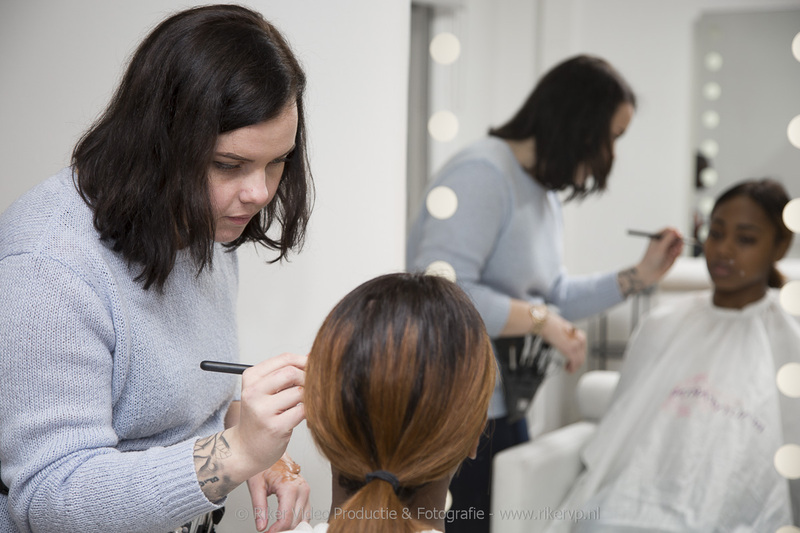 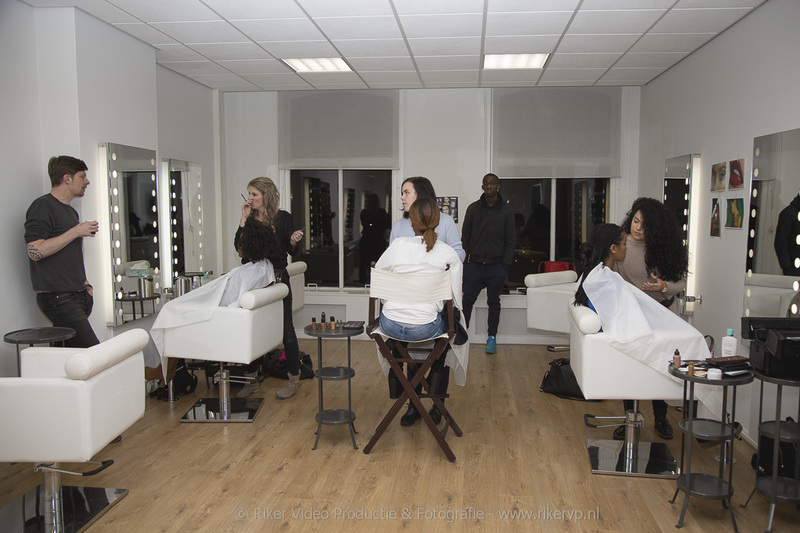 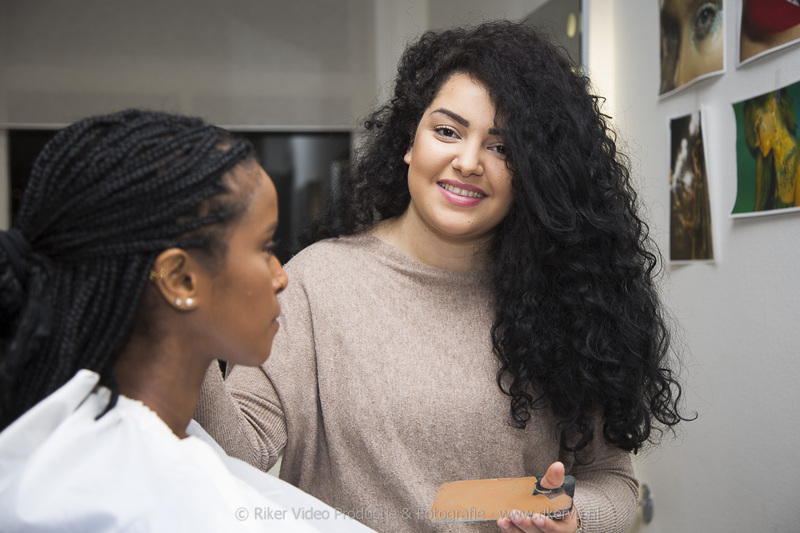 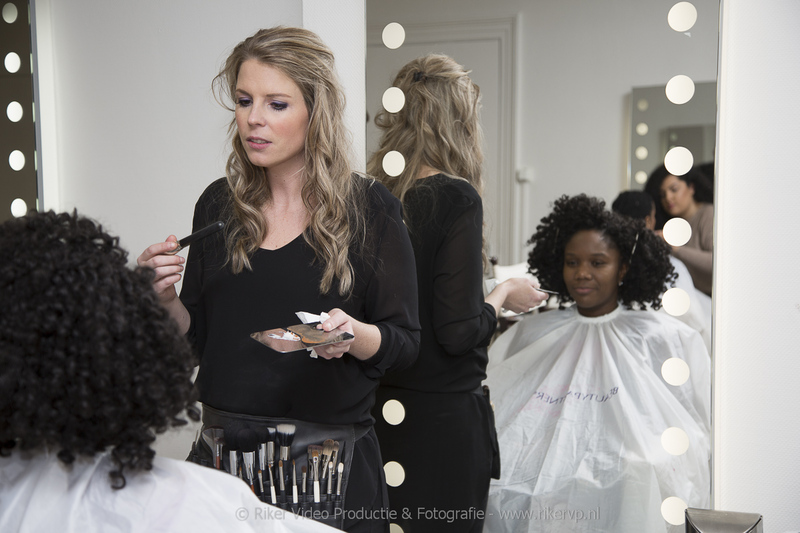 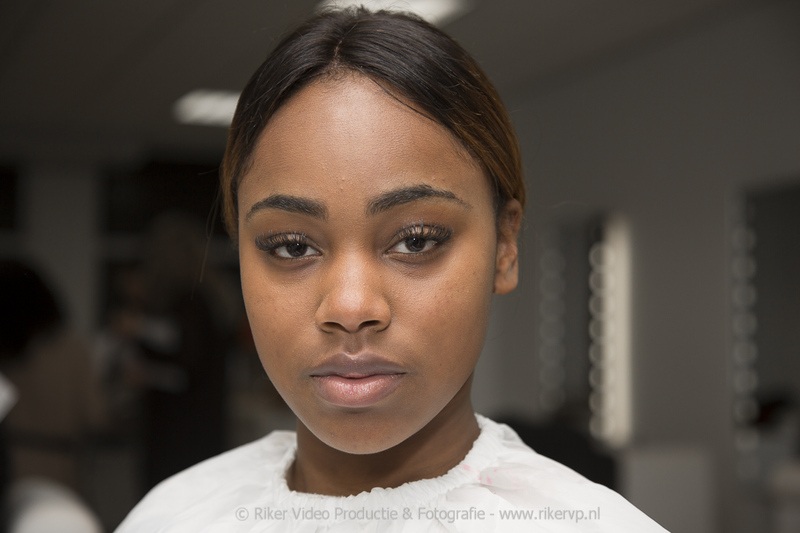 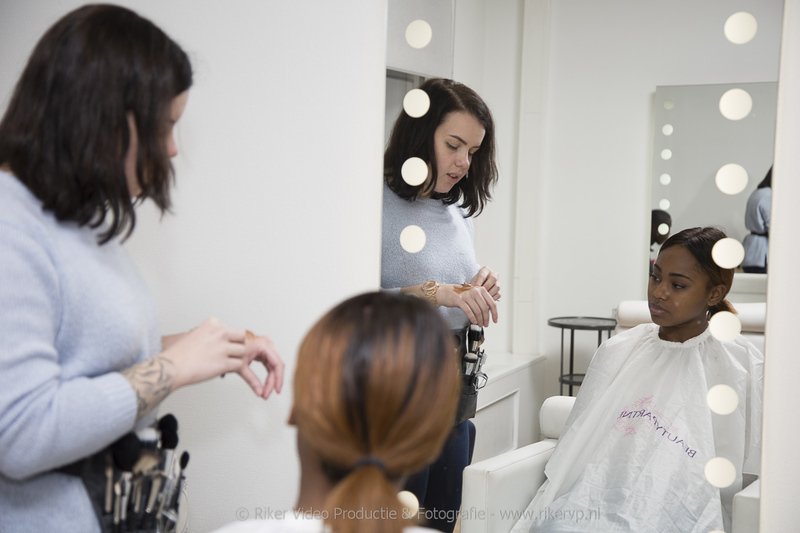 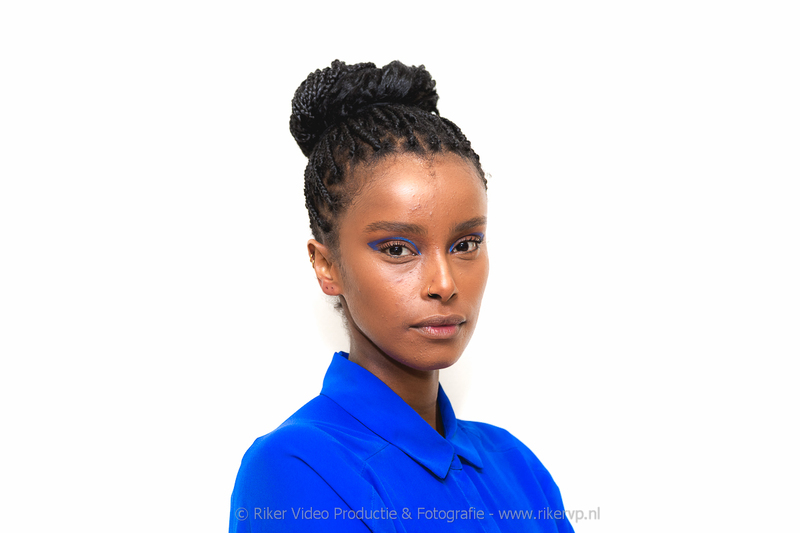 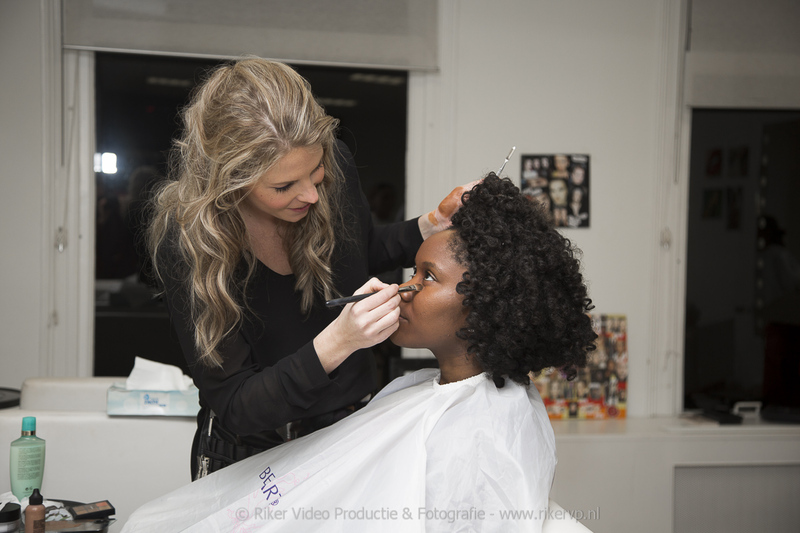 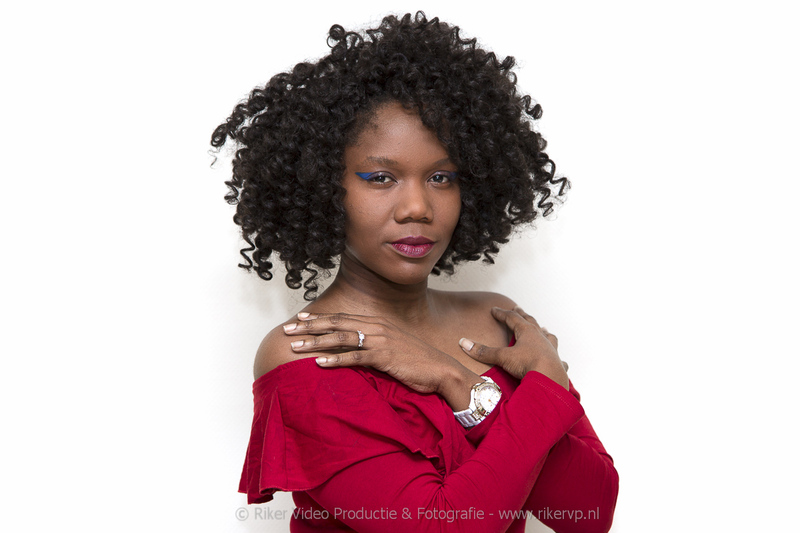 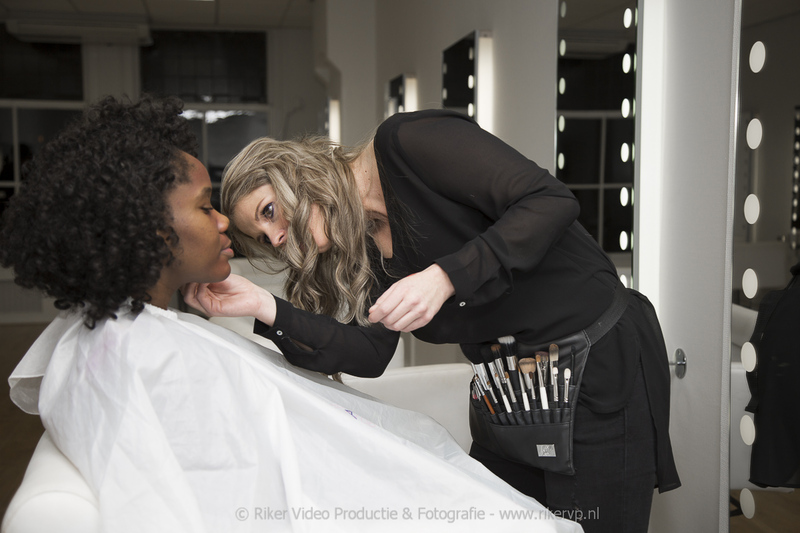 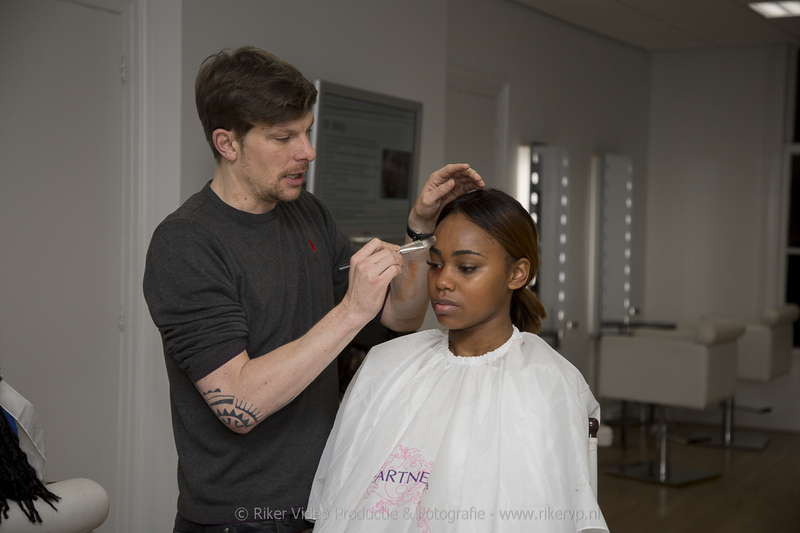 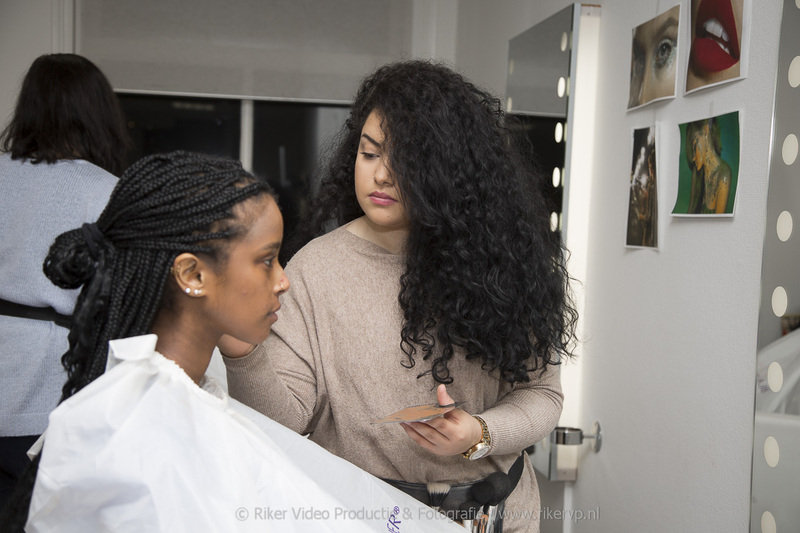 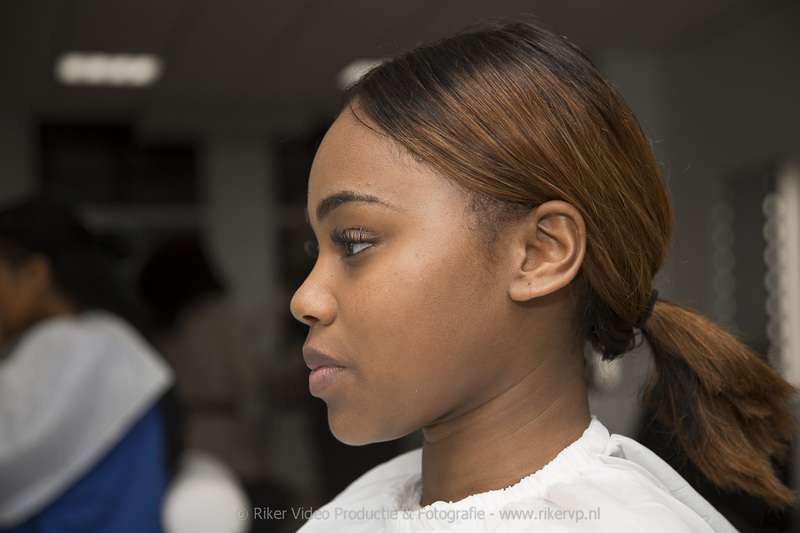 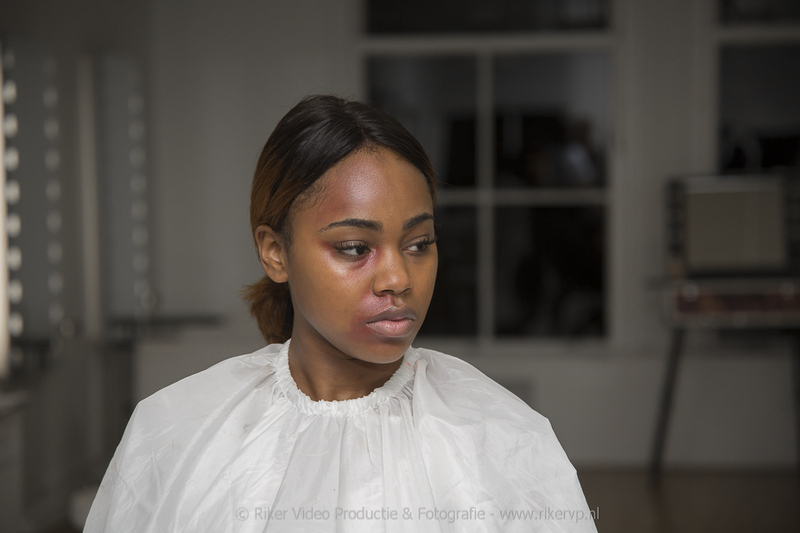 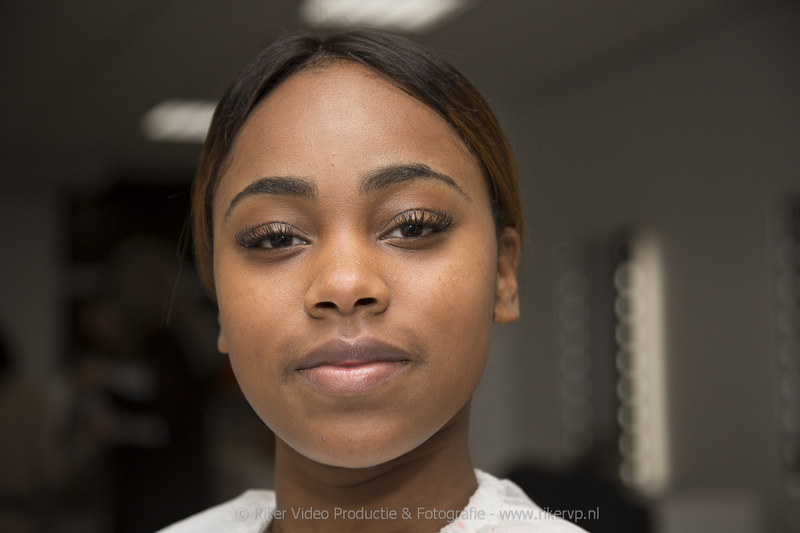 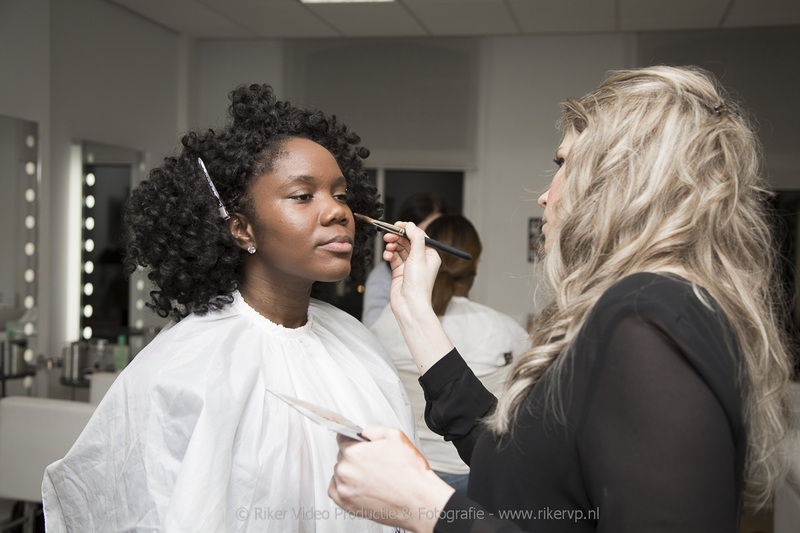 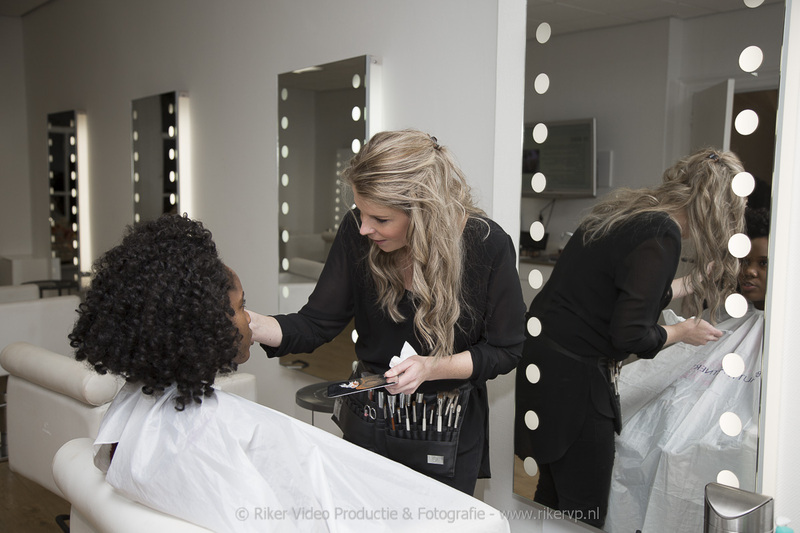 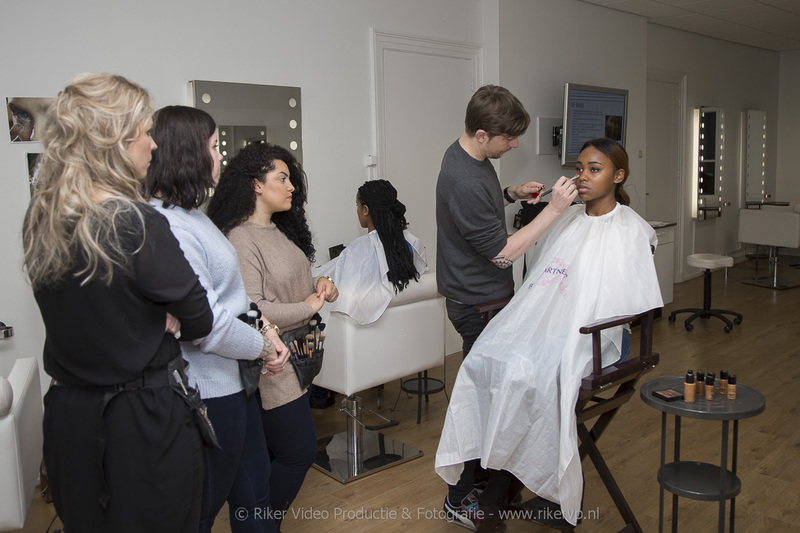 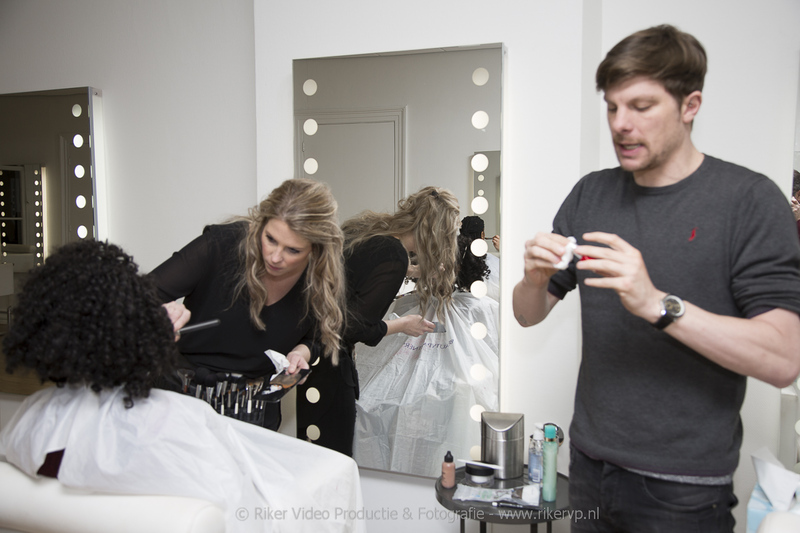 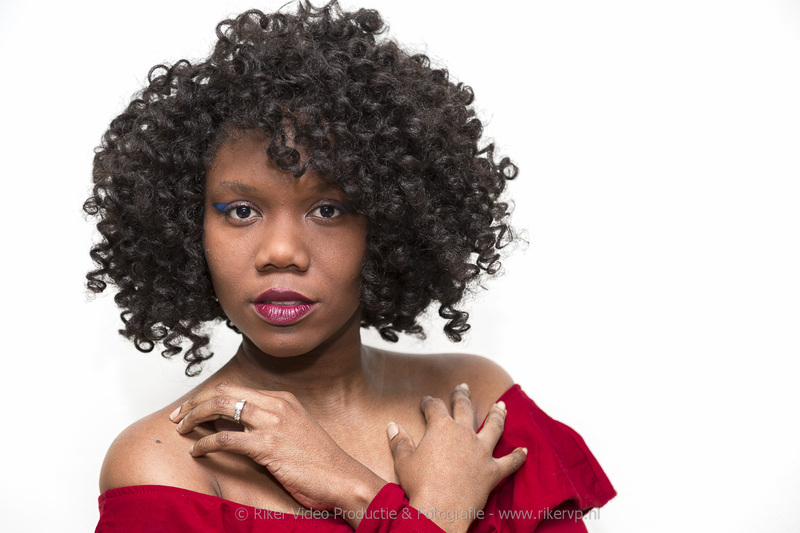 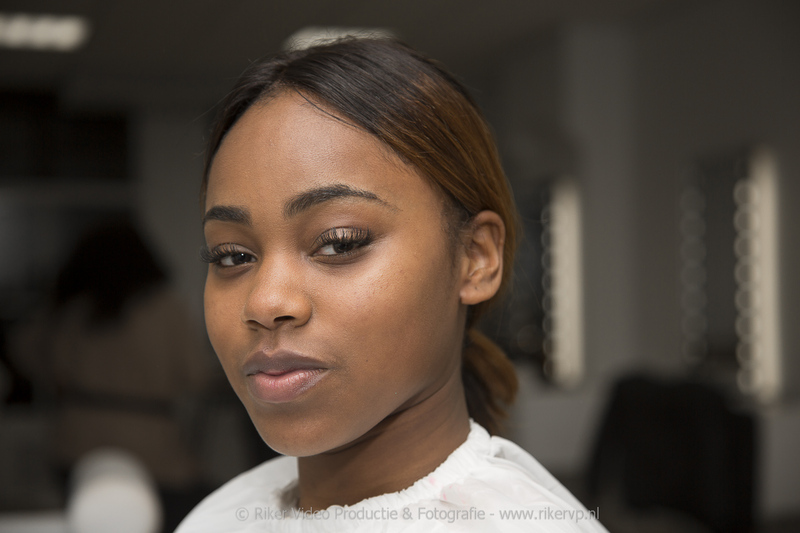 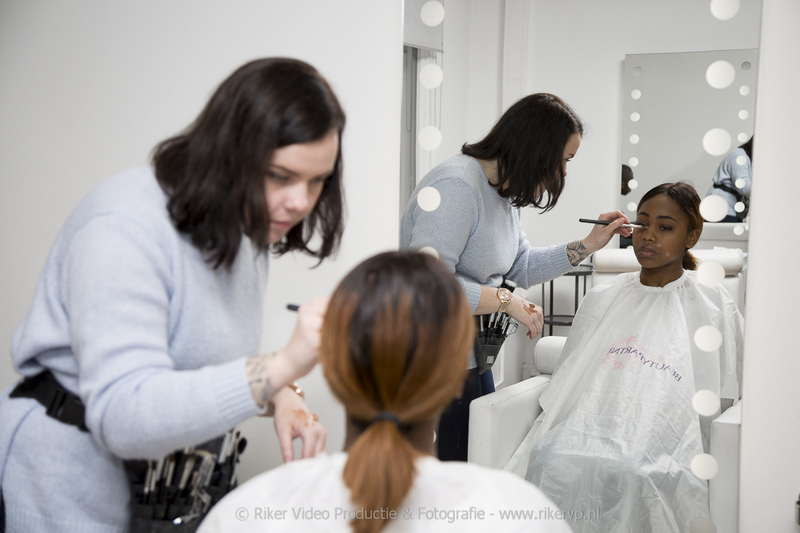 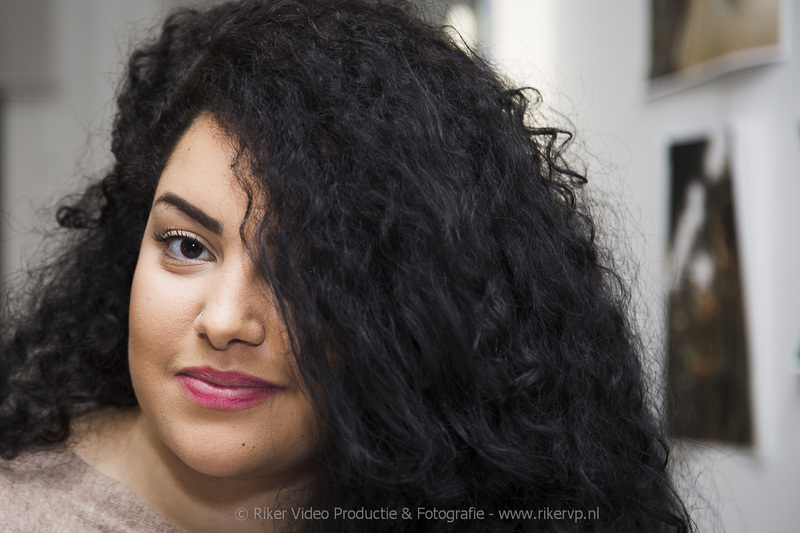 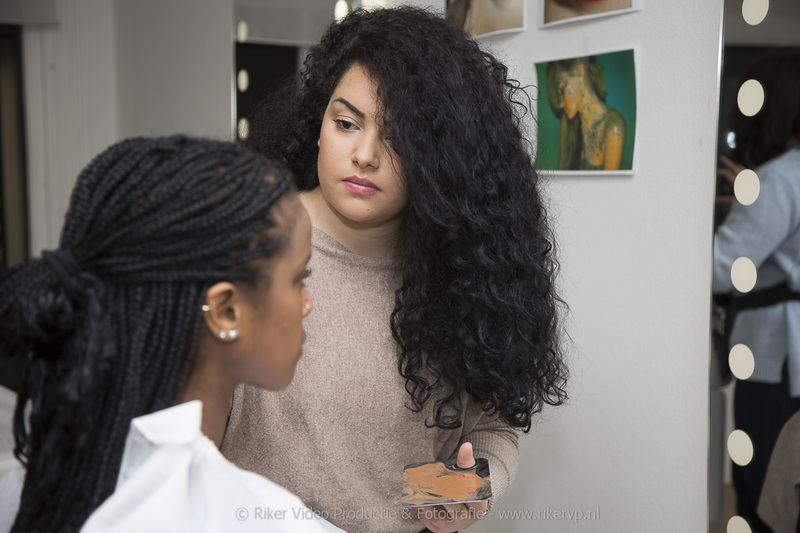 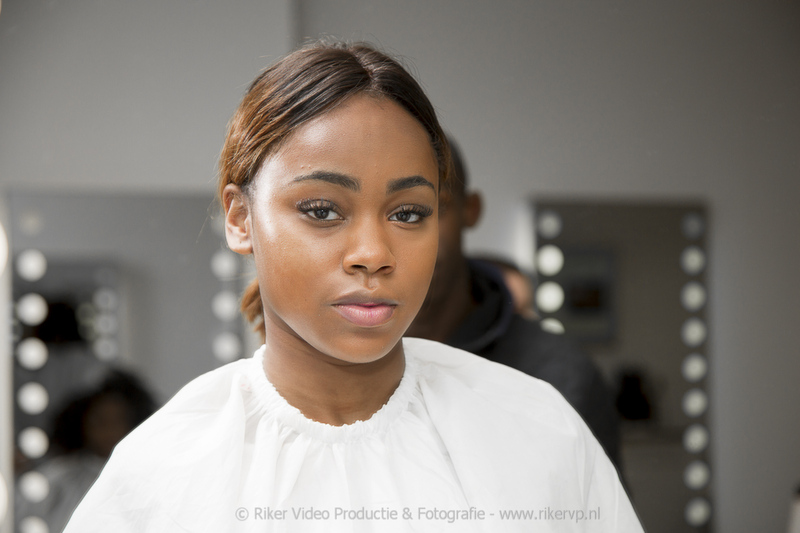 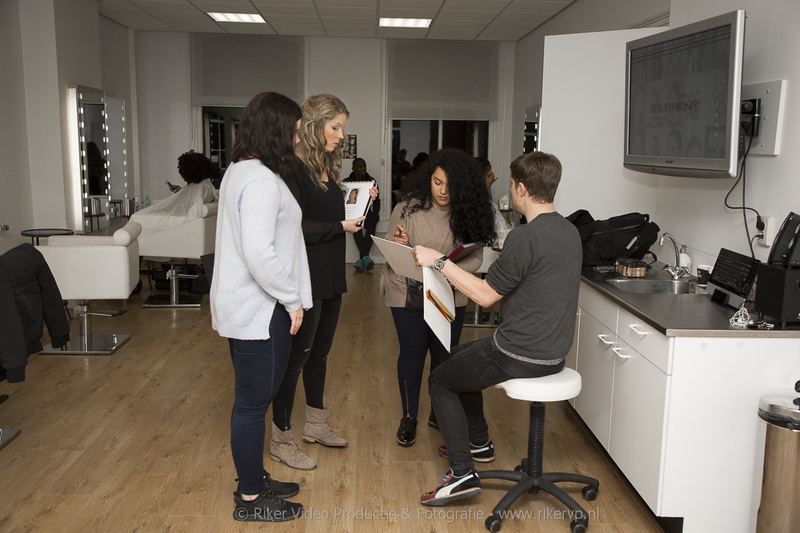 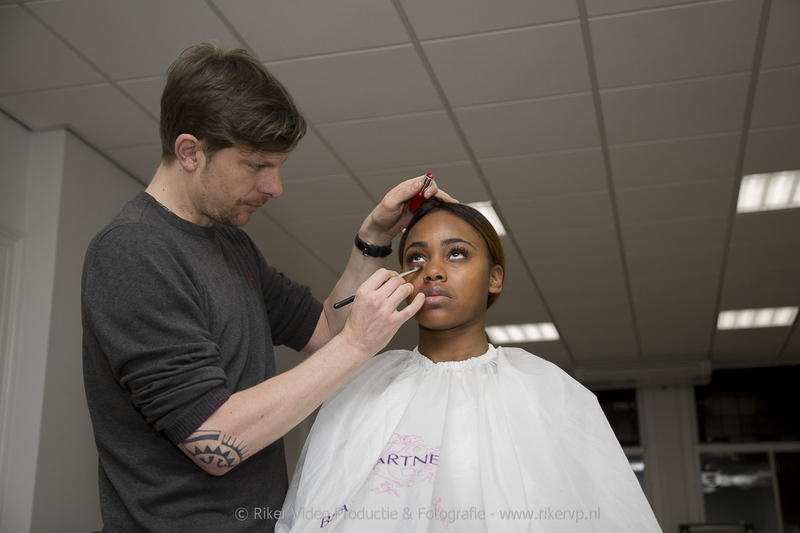 An interesting evening last night (Jan 2, 2017) attending a beauty school (Beautypartner – Rotterdam) makeup course to shoot images for my friend Marissa. 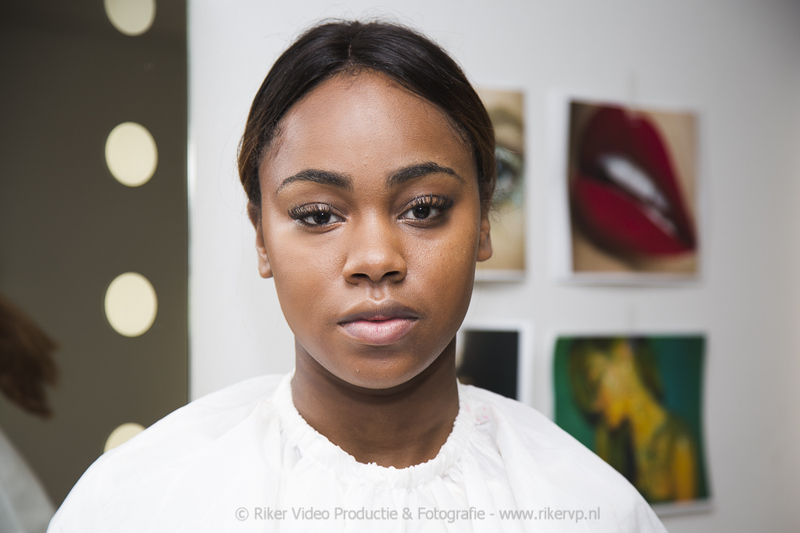 The mission was to follow her this night to capture a few images and take some portret shots. 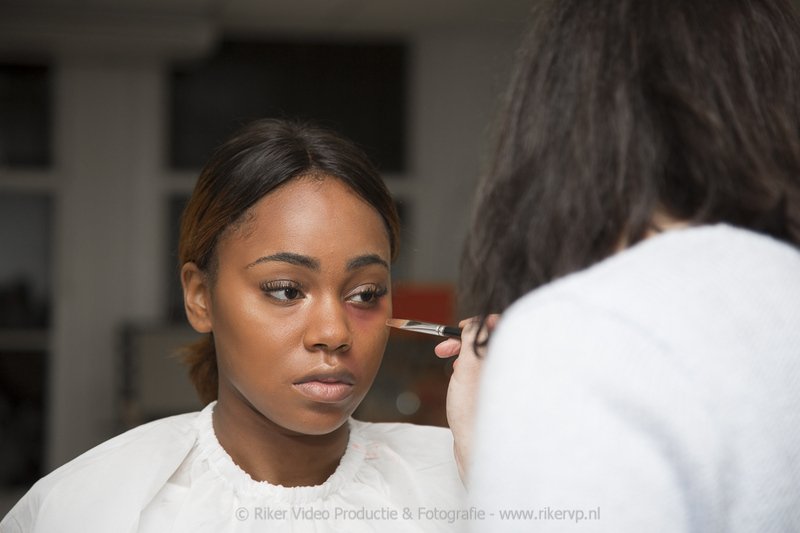 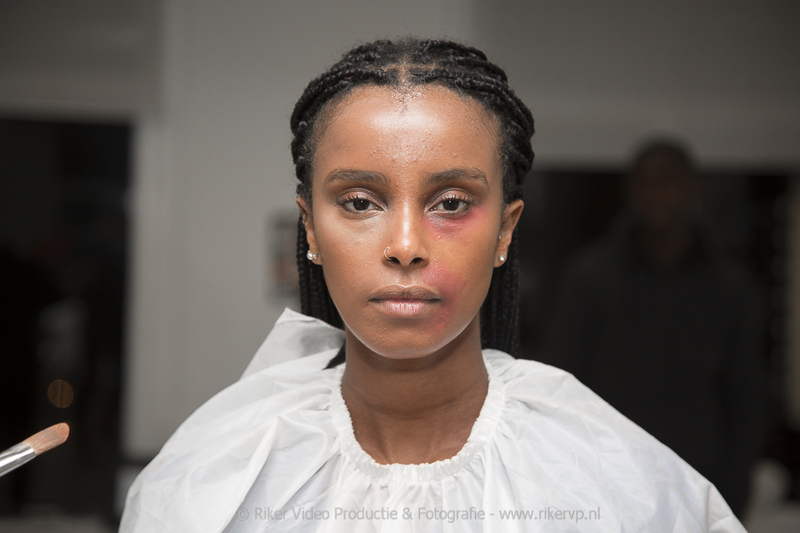 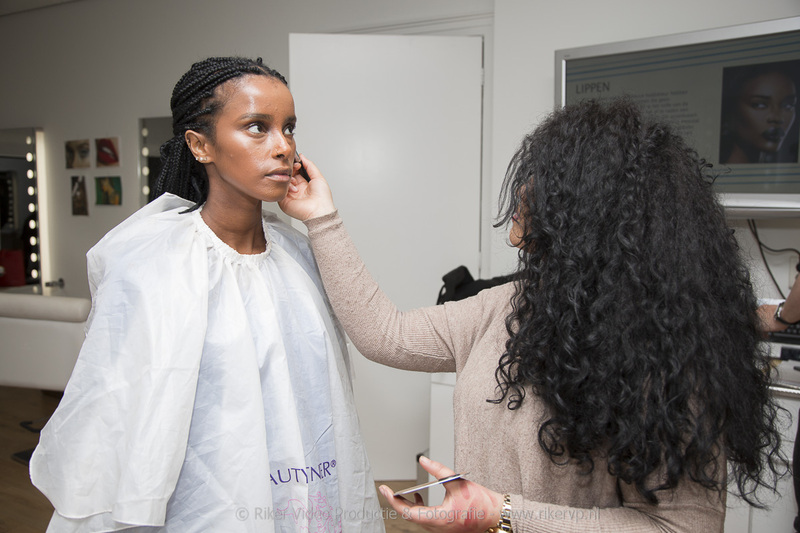 It was interesting to see how the girl apply the makeup with their newly learned skills. 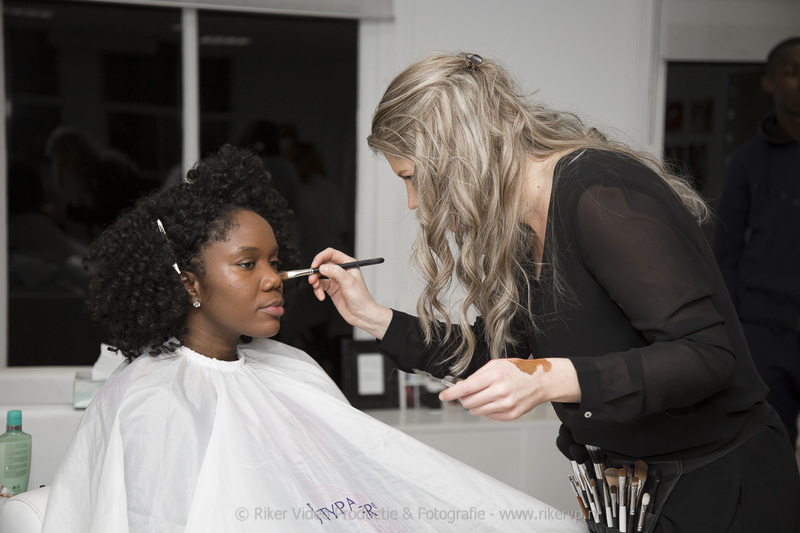 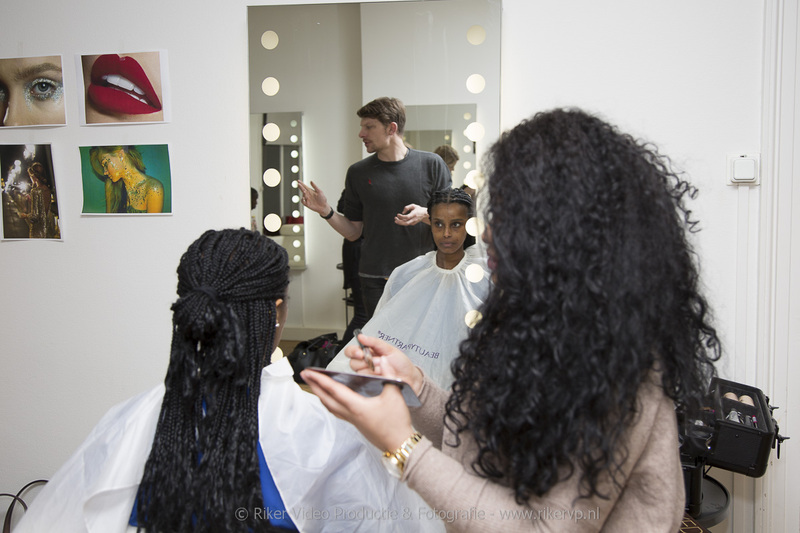 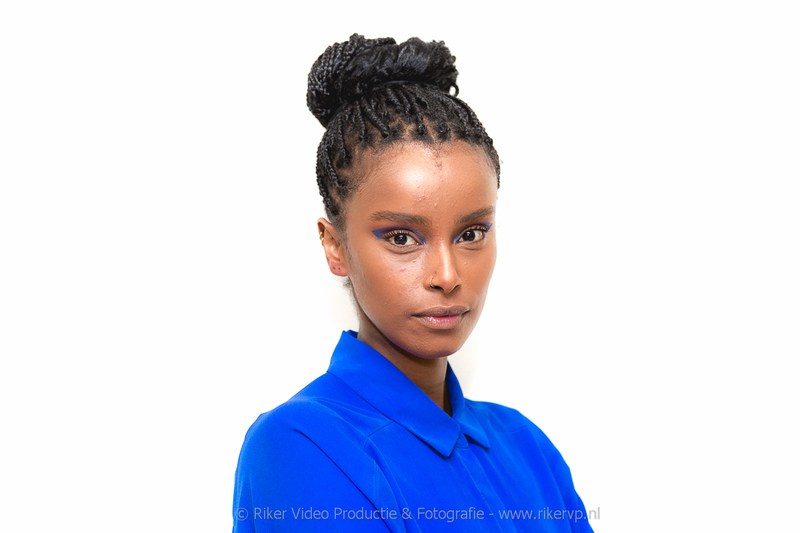 They take brush to hand like a skilled portret painter, gentle applying base makeup, eye shadow and such in learning to apply the art of it all to their models who sat patiently in the chair for over two hours. 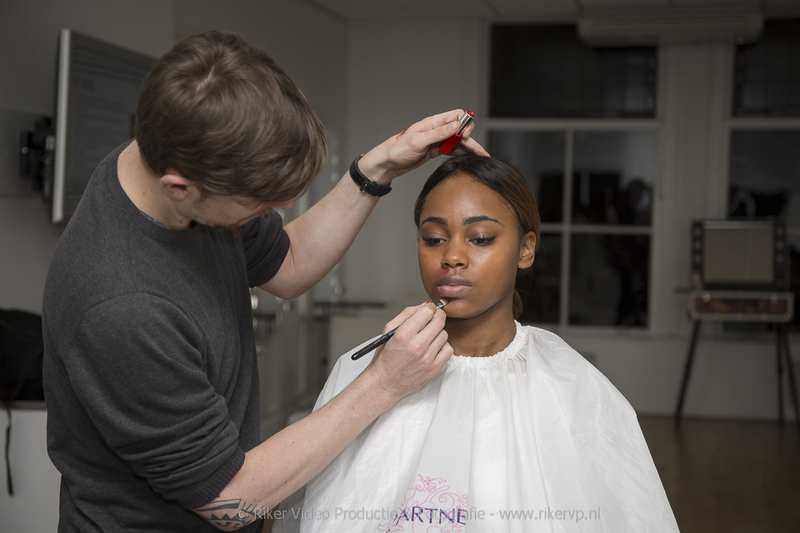 While my assistant for the evening (one of the models boyfriends) and I sat and waited for the makeup to be done to begin shooting the final product of the evenings makeup efforts. 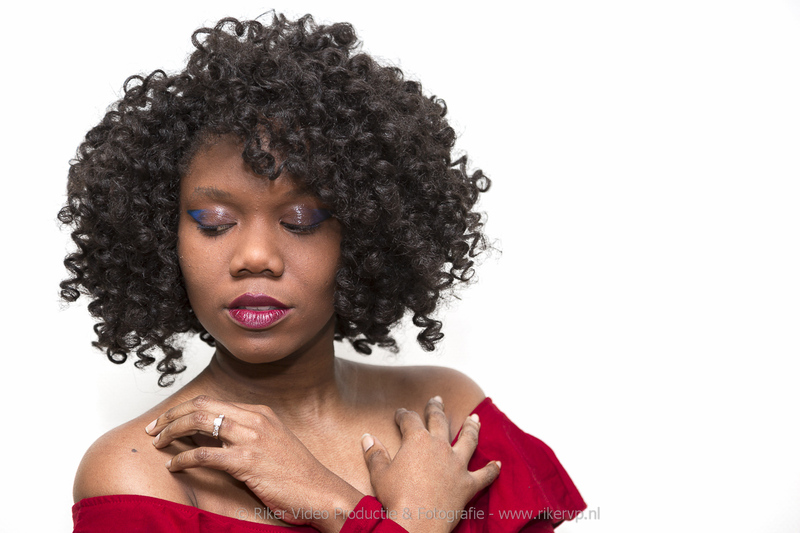 I do want to thank the ladies for patiently waiting and not get to annoyed when I stuck a camera in their faces over the course of the few hours while we were there..
Below are some of the result from last nights mini fotoshoot. 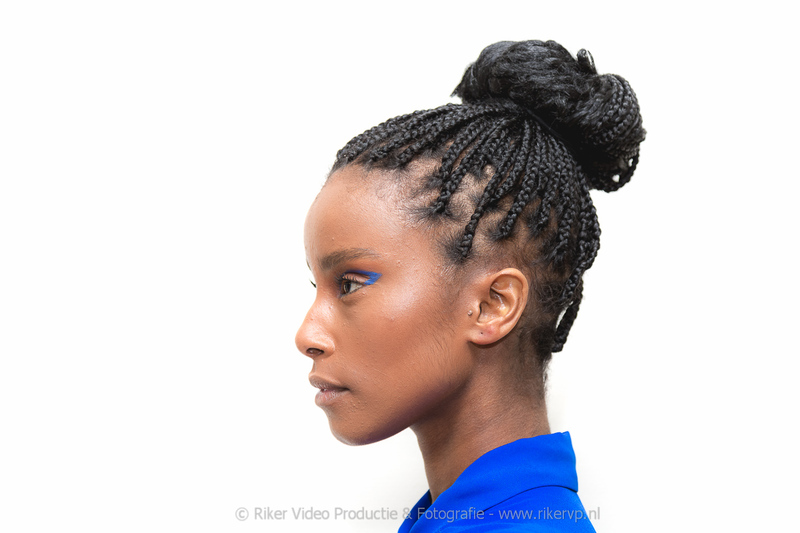 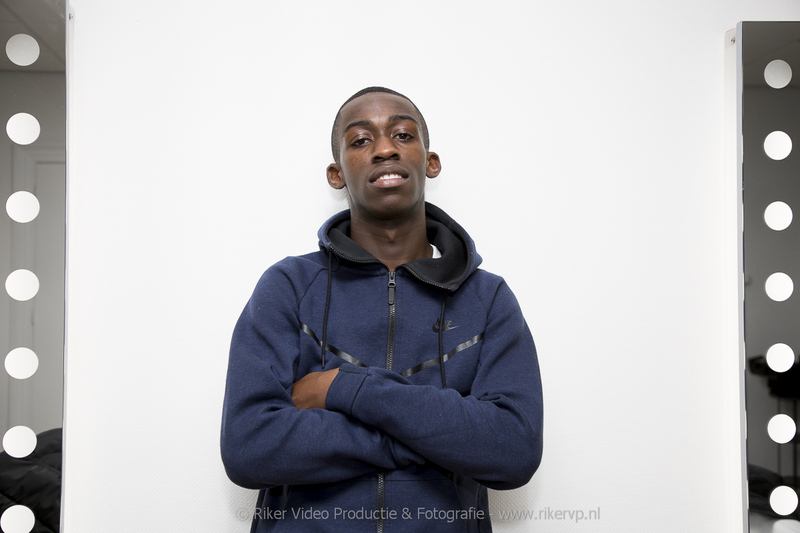 I shot this with one camera and one small flash. 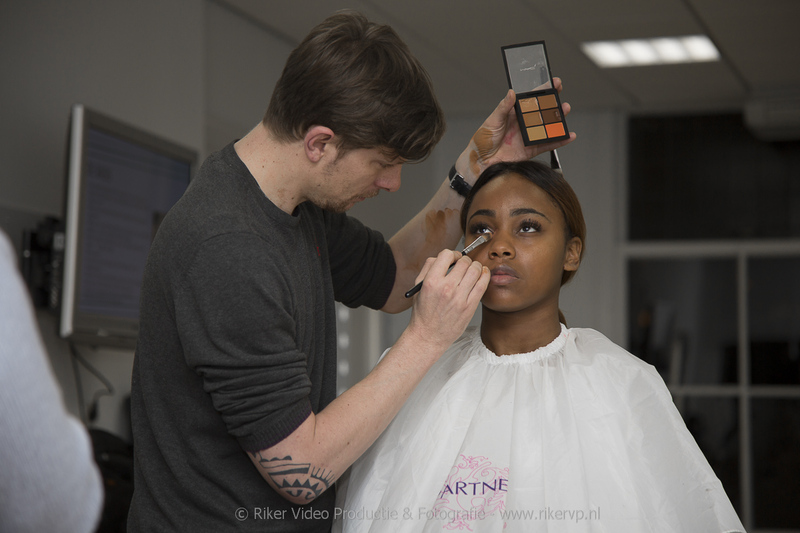 I used this on all the shots and the flash sat on top of the camera. 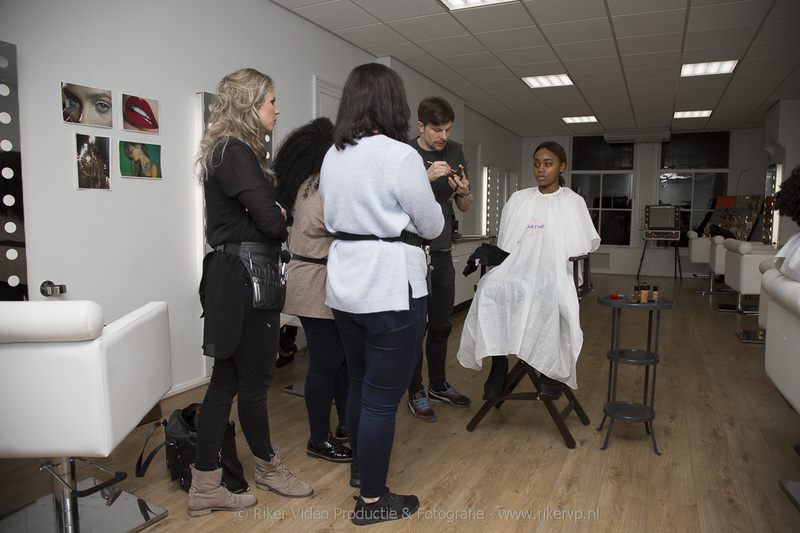 I choose to go with a bare minimum this evening instead of bringing a whole lot of strobelights and softboxes, You can pretty much get all the light you need with a small flash, if you know what your doing.